Collisioni has established itself over the years as one of the most important festivals in Piedmont. Attended by tens of thousands of spectators, it is one of the most anticipated cultural events in Italy in July and one of the most popular festivals of music and literature in the country. The Festival takes place in Barolo, known for the excellence of its wines and its wine and food culture. The idea of the festival was born from the need to create a crossover between artistic languages, and across several generations, assuming that literature as well as music are simply two narrative forms, different, yes, but equally able to communicate ideas and emotions. 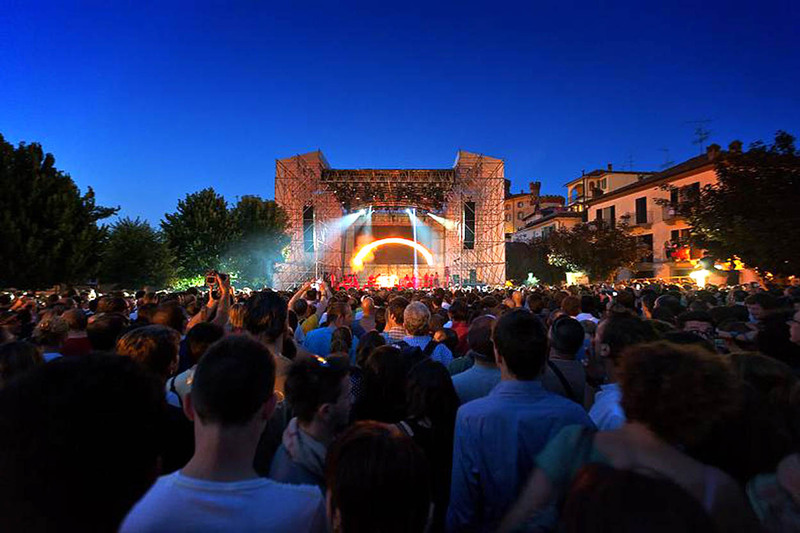 The presence of some of the leading international intellectuals and writers during the day and evening concerts with large icons of world music create a unique atmosphere that is characteristic of Collisioni. MORE THAN 100,000 SPECTATORS IN FOUR DAYS .The location was chosen by the likes of Bob Dylan, Patti Smith, Jamiroquai, Neil Young & Crazy Horse, Deep Purple, Caparezza, Suzanne Vega, Elisa, Vinicio Capossela, Paolo Nutini, The Passenger , J-Ax, Fedez, Mark Knopfler, Sting Mika.